Portable and battery operated, Hand-held Sound Intensity System Type 2270-G makes it easy for one person to make a sound intensity measurement from beginning to end. The powerful combination of Hand-held Analyzer Type 2270, Sound Intensity Software BZ-7233 and Sound Intensity Probe Kit Type 3654 enables you to make intensity measurements for noise source location and sound power calculations. Automatic measurement guidance and aural feedback during measurements allow you to concentrate on making a smooth scan of the area under investigation. 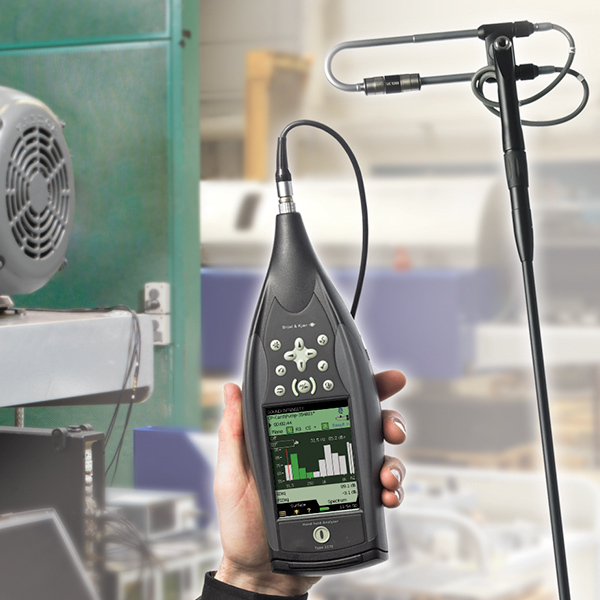 The system provides onthe-spot analyses of sound intensity spectra, which can be exported via Utility Software BZ-5503 to Excel® for sound power calculation or to BK Connect Noise Source Identification Type 7752 for noise contour mapping. The system is part of the Type 2270 hand-held platform with its vast range of sound and vibration analysis applications.